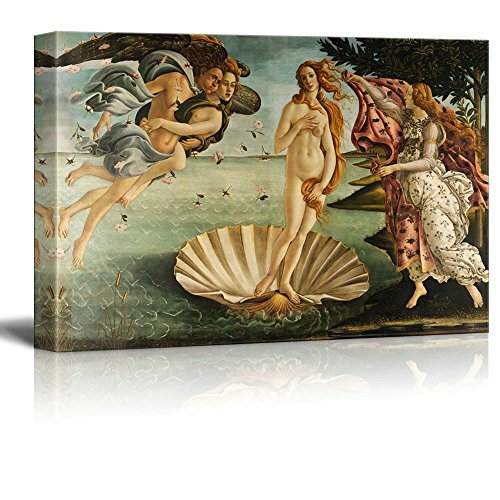 wall26 Birth Of Venus by Botticelli Giclee Canvas Prints Wrapped Gallery Wall Art | Stretched and Framed Ready to Hang - 16" x 24"
Perfect size, easy to hang. I still have to hang it, but I am absolutely in love with this piece! I love Botticellis Birth of Venus and this print actually does it justice. Its beautiful. Color is a little washy. But i still love it. And it's a good size. this is a fantastic piece. love it.